The Indiana State Museum started modestly enough in 1862 as a small collection housed in a single cabinet by the then-State Librarian R. Deloss Brown in his office. Brown began collecting interesting geological items like minerals and other natural artifacts with an eye towards illustrating some of the state's earliest history. His collection quickly outgrew his small storage space as the Civil War dragged on and veterans began giving him items related to the war, and others entrusted him with the safekeeping of other artifacts related to the state's natural world, wartime and other cultural keepsakes. Brown's collection soon became an eclectic collection of mixed artifacts that required categorizing and preparation for display to the public. By 1869, Indiana's General Assembly, realizing the importance of the collection to future generations, enacted a law to help preserve, collect, label and organize geological and mineral specimens for a museum by naming the state geologist as the first employee of what would eventually become a much larger museum. But first, the collection found its home at the State Capitol building during much of the next century. The museum was on the third floor of the building by 1888 and moved around to several locations within the building until ending up in the basement by 1919. The museum remained in the basement during most of the next 45 years, closing once in the late 1920s and again in the early 1960s. The State Museum moved to more permanent quarters in 1962, one hundred years after Librarian Brown first started collecting his interesting curiosities. The museum moved into the old Indianapolis City Hall, a building with four floors and a basement. 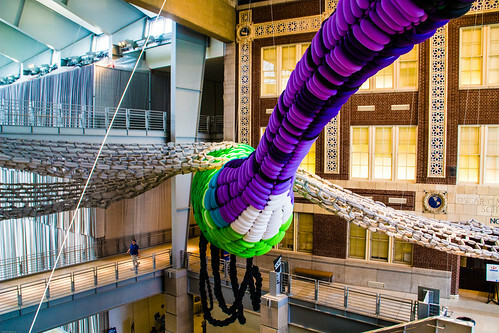 The museum was on its way to becoming more of a permanent part of the state's history, science and culture scene when it finally became accredited by the American Association of Museums in 1976. It would be another dozen years before the museum board, eyeing an even more permanent home worthy of its collection, approved a move to White River State Park in the heart of downtown Indianapolis in 1984. Another 15 years elapsed before ground-breaking on a new $105 million building occurred in 1999. The current museum building finally opened in 2002 with more than 40,000 square feet of exhibit space for is what now a collection of 450,000-plus artifacts that help tell the history of Indiana's natural world, the story of Native Americans in the state and Indiana's rich cultural history and art. 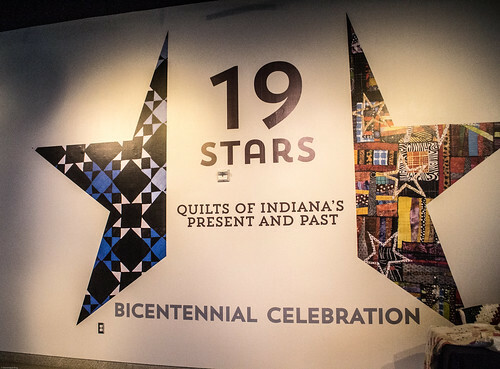 We enjoyed visiting the museum last summer as the museum seemed to be gearing up for the celebration of Indiana's Bicentennial anniversary of statehood. 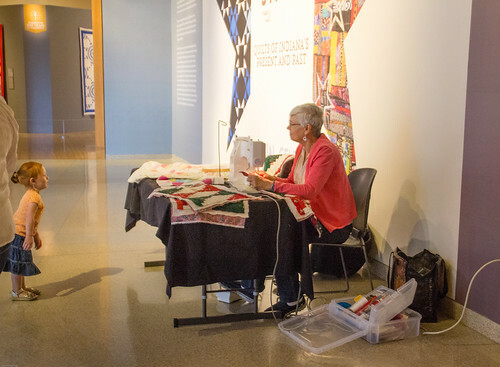 I especially enjoyed seeing a special exhibit of quilts created by Indiana artisans past and present. 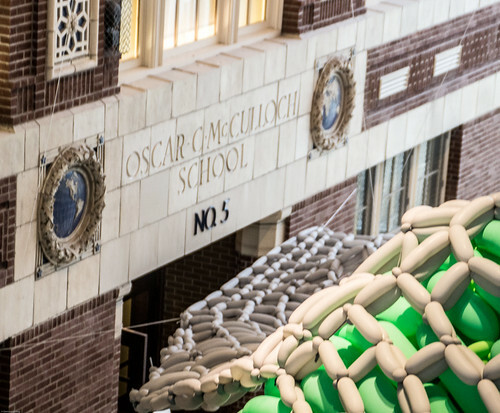 Special features of the museum include sculptures scattered around the building's facade, sidewalks and even a stairway trail representing the work of artisans from throughout Indiana's 92 counties, as well as parts of historic buildings and the recreated L.S. Ayres department store "tea room" that many Indiana residents remember going with their families for special occasions as children. The Indiana State Museum is particularly proud of being home to one of the largest collections of items related to President Abraham Lincoln in existence. The collection grew as business people in Fort Wayne, Indiana established the collection, a foundation and a museum for the artifacts in 1928. The group disbanded in 2008, and the collection went to the State of Indiana with the condition that remain largely intact and have caretakers capable of caring for it and maintaining public access to it. The Indiana State Museum in Indianapolis and the Allen County Public Library in Fort Wayne joined forces to take over the Lincoln collection. The State Museum displays many of the fine art pieces, sculpture, prints and engravings, sheet music and other three dimensional objects while taking charge of most of the conservation needs of maintaining the collection. The Allen County Library, well known as a center for genealogical and historical research, takes care of many of the books, newspapers, documents and photographs. The library also does a lot of the digitalization of the collection, making it freely available for online visitors to view. The Lincoln digital database current has more than 25,000 records available online. The Indiana State Museum and Historic Sites organization has 11 other historical sites around the state, including one of the homes and gardens of Indiana naturalist and novelist Gene Stratton Porter that we visited several years ago. Connect with the Indiana State Museum on Twitter, Facebook and YouTube. There is also a separate Facebook site for the State Museum's various historical sites. Want to learn more? 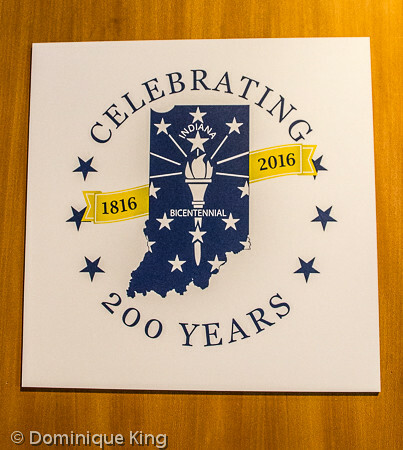 Check out Indiana at 200: A Celebration of the Hoosier State (Official Book by the Bicentennial Commission).